Linda: Thanks for joining me today. Congratulations on your upcoming release, Love’s Delicate Blossom. Where did you get the inspiration for the story and its characters? Ada: Some of the characters were fashioned somewhat from some of my family. Some big events that happened to them, happen to my fictional people. Some hard times were reality in that era a century ago. Part of my inspiration came from growing up in Colorado’s peach country. That’s where the comparison between love and a blossom comes from, and Love’s Delicate Blossom is the third romantic suspense in my Peaches and Dreams series. First, The Lady Fugitive; then Peach Blossom Rancher. Now Love’s Delicate Blossom. I do need to tell you I had hoped the book would be out by now, but nearly three months ago I came down with shingles—after having the immunization! It has been so painful, making it difficult to work. Hopefully I’m doing the last edits now, and the pain is finally easing. LM: You write for teens and adult, fiction and nonfiction. What do you do differently in your writing to appeal to these very different audiences? Ada: My brand is Stick-to-Your-Soul Encouragement, which has a large reach. My “real job” to make money and put our five children through college was as a newspaper reporter, mainly for The Pueblo Chieftain in Colorado. I loved my job, but I’ve been writing for Christian publications since I was 15, so that’s in my blood too and part of me. But I had fiction stories to tell, the first being Joe the Dreamer: The Castle and the Catapult, and biblical truths to share. That came out in Swallowed by Life: Mysteries of Death, Resurrection and the Eternal—which grew from my medical writing and losing a daughter to cancer. Also since I taught church teens for 30 years, I wrote Imagine the Future You, and Facts, Faith and Propaganda. I have a total of eight books. The most recent is What Prayer Can Do, testimonies of how God intervenes and answers prayer. LM: Research is an important part of writing a book. What sort of “aha” moment did you had while researching one of your books? Ada: In Love’s Delicate Blossom I discovered what I’ve always known that “Love is dynamite.” meaning it’s similar to the dynamite that will make a tunnel through a mountain, and can help people ram through their troubles cleanly without blasting away the whole hillside and hurting others. Yet love is delicate and should be cared for. Yes, a blossom is delicate and can be killed with just a little frost—but a blossom also is filled with God-given power to do great things, and I explain that in the book. It was awesome to discover in my research that amazing power. LM: What is your favorite part of the writing process? Ada: Creating characters—even the animals—but especially humorous folks. Favorite authors: Josh McDowell, Max Lucado, Mark Batterson, Liz Tolsma, Jennifer Hudson Taylor, Lillian Duncan, and dozens more. Favorite Food: Green chili and Tamales made by my great friend, Gloria Vigil. LM: What is something you wish you knew how to do? Ada: After Love’s Delicate Blossom I plan to do short works, fiction and non-fiction, and more op--ed pieces for newspapers. LM: Where can folks find you on the web? Ever thought about the DNA in a flower? Or the wonder of love? In my new book, Love’s Delicate Blossom, being edited now after I was sidelined by the shingles—not those on my roof, but a disease that feels like you’ve had something nailed to your body—I discovered fruit blossoms are much more than pretty flowers. Maybe that’s why bouquets are part of weddings. Here’s what the leading man in the book has to say about blossoms and love. Joe Nichols, explains it to the beautiful redhead, Ritah O’Casey, who has another fellow after her. Then she realized she’d never said she was in love. Her smile flashed back at him and the connection they made with their eyes sent sparks through her. Toward the end of the book Ritah discovers lots more about peach blossoms, and it has to do with the pesky seed. Hopefully Love’s Delicate Blossom will be published by Sept. 15. 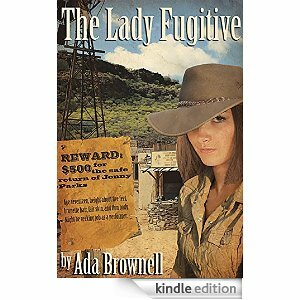 Here’s the summary and links to the other two books in the series, The Lady Fugitive and Peach Blossom Rancher. 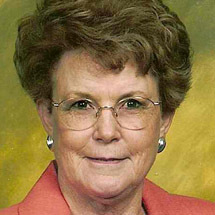 Ritah Irene O’Casey has three goals: Graduate from college, teach school, and persuade other women to use their brains, talents and ministries. But in 1917 few women attended college and in many districts teachers weren’t allowed to marry. Some women in their Iowa town are throwing their lives away working as prostitutes in the new brothel. Yet, a few don’t even have basic skills for survival as old maids or widows. Ritah knows the war will make widows of many more women. Too many already sent their children to orphanages when illness, death, or alcohol invade their home. Ritah believes a woman is as intelligent as a man, and a woman shouldn’t view herself as a slave or a plaything for men. In her mind, women should be respected. First they need to live for God. Then even though they might not have much schooling, they should study like their lives depend on it, because they often do. The week before Ritah leaves for college, she rescues Tulip, whose parents died of cholera and a man tries to enslave the young lady, only age 14, in prostitution. Ritah finds a feisty widow lady for the gal to live with, but there’s still a mess of trouble. 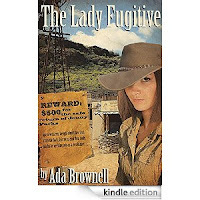 The sequel to The Lady Fugitive; Book 2 in the Peaches and Dreams series. For Christians who love a great book they feel good about reading. A handsome young man inherits a ranch in ruin and a brilliant doctor is confined to an insane asylum because of one seizure. Yet their lives intersect. John Lincoln Parks yearns for a wife to help rebuild the ranch and eyes Valerie MacDougal, a young widow who homesteaded, but also is an attorney interested in helping patients wrongly held at the asylum. Will the doctor ever be released from the asylum? Will John marry Valerie or Edwina Jorgenson, the feisty rancher-neighbor he constantly fusses with? This neighbor has a Peeping Tom whose boot prints are like the person’s who dumped a body in John’s barn. Will John even marry, or be hanged for the murder? The author is a journalist who spent a good chunk of her life in the newsroom at The Pueblo Chieftain. She grew up in peach country, knows a little about horses, but more about the mentally ill. The Colorado Mental Health Institute at Pueblo, a former asylum, was on her beat. Jenny takes off on her horse in the middle of the night dressed as a young man to escape abuse from her uncle, a judge. He offers a reward for her return. The judge, who gambled away his home, won’t inherit Jenny’s father’s ranch unless he keeps her until she’s age 21. William, a peddler who travels around Colorado in a covered wagon showing one of the first Passion of the Christ moving pictures, searches for his brother because their father is near death after being attacked by an enemy. William saves Jenny when she’s threatened by a rattlesnake in an abandoned house. The two cross paths often. Will they fall in love? Or will William claim the reward when he discovers she’s wanted? Published by Elk Lake Publishers, a division of Book Club Network. Available in paper and for Kindle. Talkshow Thursday: Welcome back, Leeann Betts!